I have been working on an After Effects project for a company to show off some of the possibilities we could implement with their training video. I am creating the introduction for it and it will involve a lot of heads up display (HUD) elements similar to those seen in both Iron Man films. I am going to be compositing both 2d and 3d elements onto a physical 3d grid that the actor will unfold from his hands. 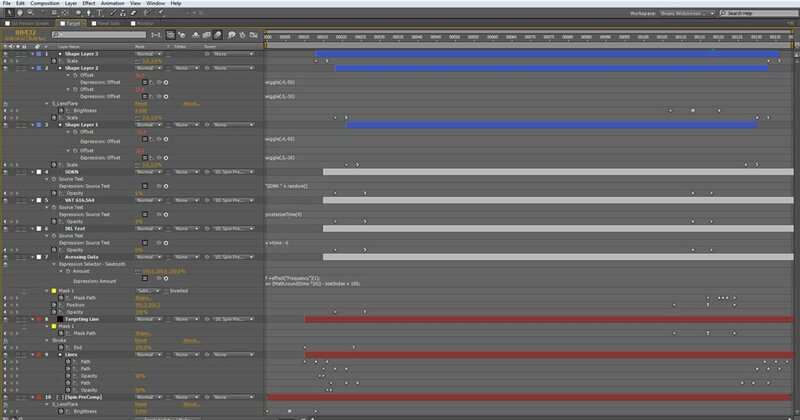 Right now I am just in the early compositing stage and am creating all the elements to the scene however I wanted to show my patriotism for America’s birthday in the best (and the most nerdy) way possible; by color coding my layers appropriately. I eventually am going to be making my way down to the jersey shore and will be soaking up the sun later on however work needs to be done before I can even think of riding some waves. Wishing everyone a happy holiday and hope you enjoy the extra long weekend.